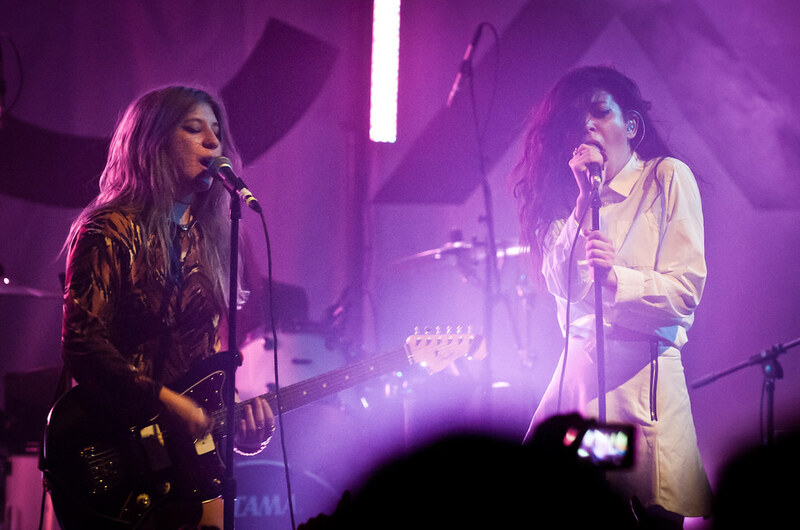 Chloe Chaidez joins Charli XCX onstage at The El Rey. As an ode to high school cult films like "Carrie" and "Jawbreaker" Charli XCX's new video for "Break the Rules" is her vision of living out her high school fantasy of getting high, skipping class and breaking all the rules. Rose McGowan, who starred in "Jawbreaker," makes a cameo as an uptight chaperon for the prom. And Los Angeles' own Chloe Chaidez of KITTEN also stars as one of Charli XCX's bad girls. Also making cameos are Otto the bus driver from The Simpsons and Cherri Bomb's Miranda Miller playing the guitar. It's been a banner year so far for the 22 year-old, performing at this weekend's pre-show for the MTV VMA's where she was nominated for five Moon Man trophies which included her hit song "Fancy" which she co-wrote with Iggy Azalea. Now, with the release of "Break the Rules," Charli is set to release her sophomore album Sucker on October 21st.